With the anticipation of Disneyland Resort’s Pixar Fest (and of course Pizza Planet coming to Tomorrowland! ), this Healthy Mouse’s #FoodArtFriday is Buzz Lightyear themed! 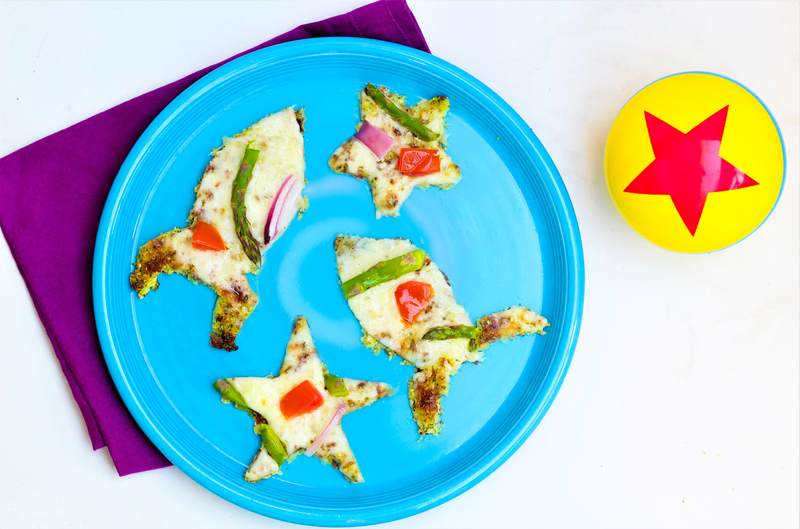 Drumroll please…Buzz’s Galactic Broccoli Crust Pizza. This low-carb pizza has a great flavor and crunch to it, perfect if you’re a flatbread-pizza lover looking to add some more veggies to your day. Cut up your broccoli, including the stalks. Place in a food processor, and pulse until riced. Mix together riced broccoli and all other crust ingredients. Place parchment paper on a sheet, and spread your crust thin and evenly on the pan. Bake for 10 minutes. Remove from oven, and add oil, mozzarella, diced tomatoes, strips of red onion, and asparagus. Enjoy Buzz’s Galactic Broccoli Crust Pizza!